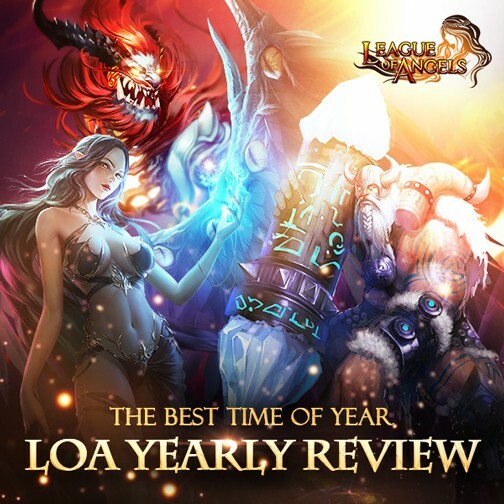 League of Angels has witnessed a lot of amazing events in the year 2016 and would like to share them with all players! To do so, we did some research covering aspects of Character, Angel, Hero, Mount and Challenge. Take a look! 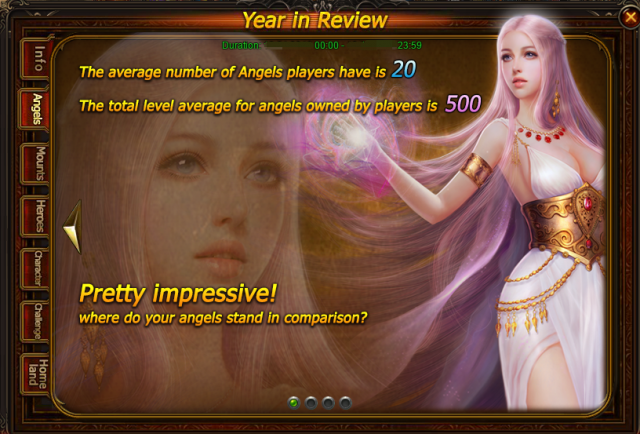 Also League of Angels is holding a Yearly Review Event in game (from Dec. 27th to Dec. 31th)! Thanks for the continuous support of our dear players. And we hope 2017 will be even better than the last and wish everyone a happy New Year! How many angels do you own in your party? Are Maiya and Lunaria really twin sisters? How many angels have you unlocked? Which mount is your favorite? 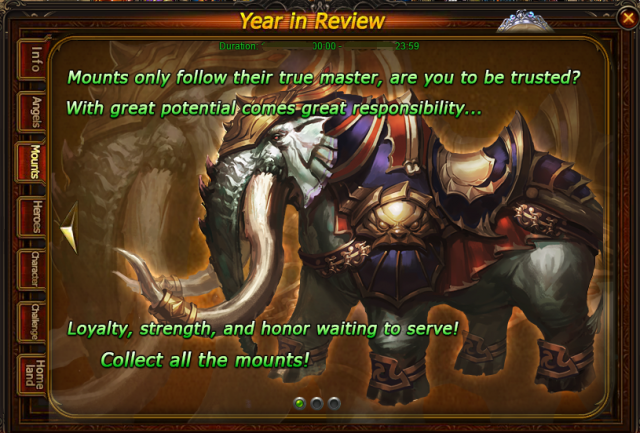 Mounts only follow their true master. Are you to be trusted? Who is the most anticipated hero in the year 2016? In the world of war, what matters is no the shape but the real power? 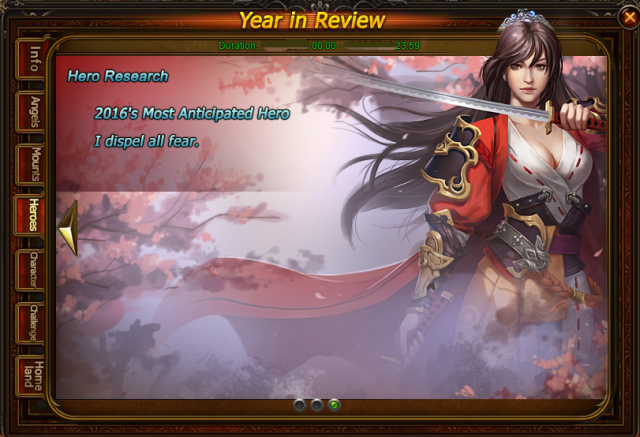 Bloody Dancer, the mysterious hero from the east, is awarded as the most anticipated hero in 2016! Have you joined the 1 million Battle Rating Club? 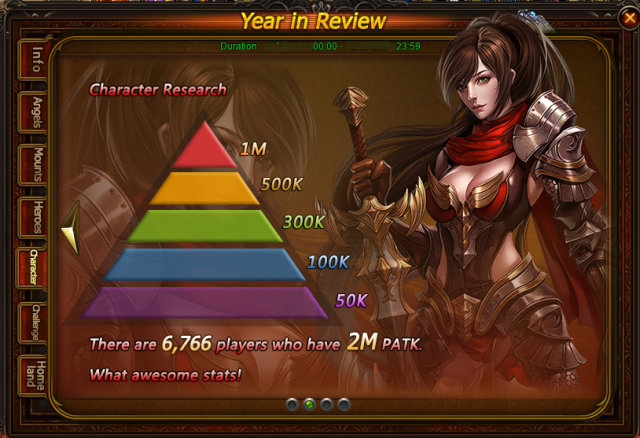 According to the research, there are 5,000 players in this Club! Hurry up, raise your BR and become stronger! Have you end your Daily Zodiac Challenge with Pisces? 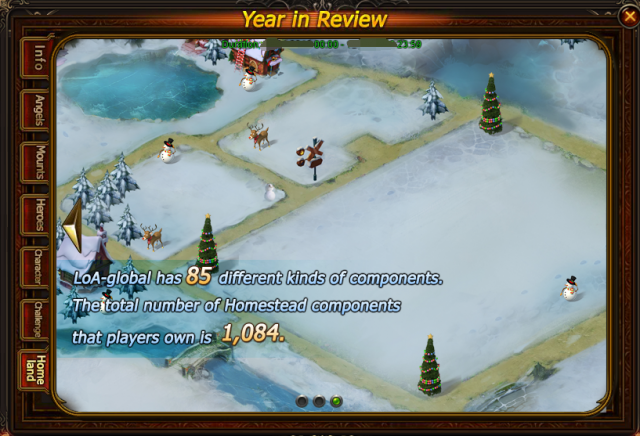 Everyday more than 125214 players fight monsters and system problems! Fight for justice and get more resource for your journey! We each pwsses a beautiful Homestead. Our Homesteads are quite different from each other's, but we belong to one family-- the League of Angels family! 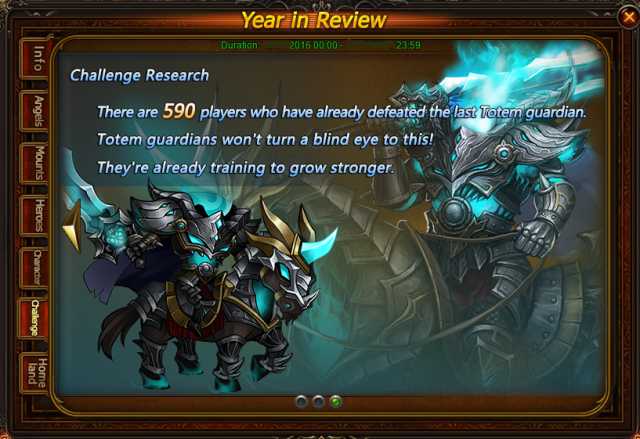 We wish all players a happy new year and all the years to come! Play League of Angels now and write your own legend!